Expunging your record means taking off certain criminal offenses. Not everyone will be eligible for this. To have your criminal record expunged, you have to file a motion in the court where you were convicted. You’ll also have to go before a judge to have your motion heard. 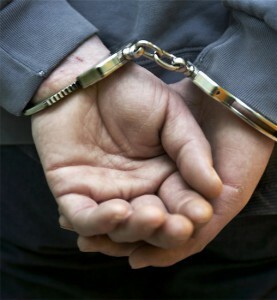 There are certain cases where you cannot get a criminal offense removed from your record. Most states have a waiting period before you can have a conviction removed from your record. This will usually be around five years. If you are in jail for a period of longer than five years, you may also not be able to get your record expunged. If you are ever convicted of a crime that could have resulted in you receiving a life sentence in prison, you will not be able to be expunged in the vast majority of instances. Filing a motion is something you can do on your own or, if you prefer, you can hire a criminal defense attorney to do it for you. If you are at all confused about how the process works, it’s generally better to seek legal advice. You will also want to make sure before you file the motion that your offense actually can be taken off of your record. Some crimes, such as sexual misconduct crimes and other serious offenses will not be expunged from your record. The juvenile criminal process is significantly different than the criminal process as it applies to adults. Where juveniles are concerned, the law has more of a goal of rehabilitating the offender than with punishing them. This means there will be options other than trials presented, in the vast majority of cases. For very serious crimes, however, the prosecutors may want to go to trial and seek a conviction. When a child is arrested for a crime as juvenile, there’s a significant difference depending on whether the child is currently in custody or not. Most juvenile courts will go ahead and have a preliminary inquiry with the parents to determine the best course of action. After this meeting, the district attorney’s office will determine whether or not there will be charges filed. If they do decide to press charges, the district attorney will file a Petition of Delinquency, which is similar to a criminal complaint as filed against adults. Your child will receive an appointed attorney, just as when an adult. You can also hire your own criminal defense attorney, if you prefer. Throughout the process of dealing with the client, the district attorney and the courts may decide upon other types of action rather than going to a full trial. There will be cases, however, were the district attorney will want to go to trial and where the case will be heard in a similar fashion as would a case against an adult. If you need an attorney for a juvenile case, be sure you get one that has experience arguing these specific types of cases. The prosecution and the defense will typically spend a lot of time negotiating ways to settle the case without having to put the child through a trial. You’ll need an attorney who understands what to be expected in these situations and who knows how to get the best deal for your child. Do the Police Need Permission to Search Your Car? 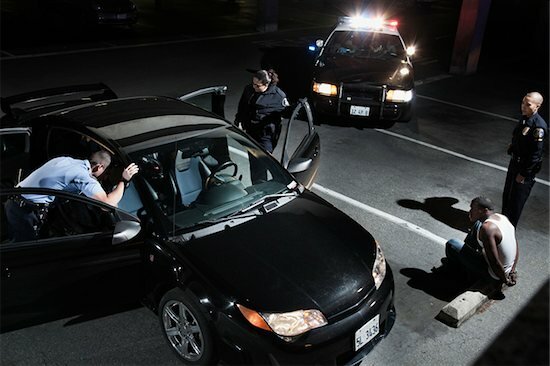 The police need one of two things to be able to legally search your car: they need either your permission or probable cause to suspect that searching your vehicle will reveal that you are breaking the law. For example, if a police officer pulls you over and smells drugs in your car, they have probable cause to search the vehicle. If they look into your ashtray and see what appears to be a half burned marijuana cigarette, they then have probable cause to search your vehicle. When it comes down to it, all a police officer needs to search your car is a reason and they’re very good at coming up with them. There are instances, however, when you can prevent an officer from searching your vehicle. For example, it’s common for police officers to ask you if you know why you were pulled over when they pull you over. Admitting to anything is admitting to breaking the law and, in most cases, that gives them probable cause to search your vehicle. It’s always best to say that you have no idea why you are being pulled over. What Happens When You Have Been Charged with a Crime? Being charged with a crime can happen with or without your knowing it. If, for instance, you’re charged with a crime after having left the scene of where it happened, you may find out that you’re charged a bit later when a warrant is issued for your arrest. This may happen, for instance, if you’re charged with disorderly conduct after leaving the scene of an altercation you participated in. You may also be charged on the spot, such as if you’re caught driving intoxicated. After you’re arrested, you’ll be taken to a station and you’ll be booked. This will involve getting your identification, having your fingerprints taken and contacting a Birmingham criminal attorney, if you’re in custody for long enough or aren’t bailed out. A court date will be set for you and you’ll be arraigned, which means that you’ll have to enter a plea of guilty, not guilty or no contest.